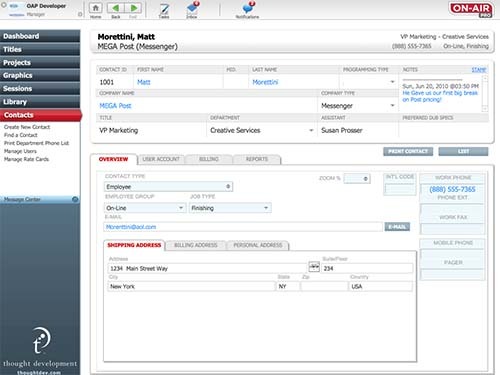 The CONTACTS module plays a very important role in integrating all other modules in ON-AIR Pro™, so much of the on-air production process is reliant upon people. This module stores information regarding all of these individuals and any external companies referenced in the production process. You can print labels, letters, and store addresses and phone numbers. 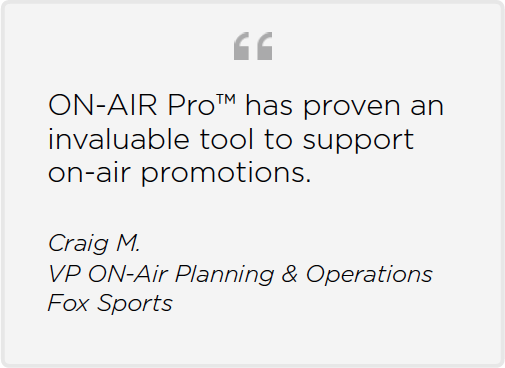 Besides providing the basis for all ON-AIR Pro™ user login information, it makes user management within ON-AIR Pro™ extremely easy to administer. Linked with the ON-Message™ plug-in, users’ inter-system communication is simple and effective.